There are NOT many companies that do what we do and also have rail receipt and unloading capabilities. 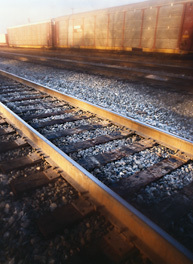 We have the ability to set up a variety of different rail related programs to fit your needs. Whether its cross docking to semi-trucks of powders or liquids, unloading powder from hopper cars into a variety of bulk bag and sack sizes, or receiving your product’s raw materials in this manner, the savings from PAK Technologies having rail are available to you.